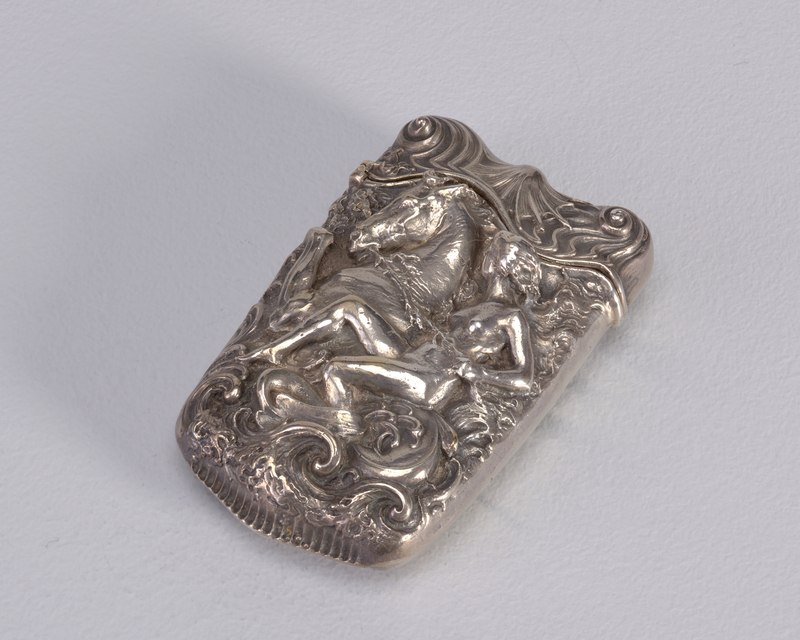 See more objects with the tag horses, figures, matchsafe, container, smoking, mythology, shell, decorative, female, monogram, swirls. See more objects with the color dimgrey rosybrown darkslategrey or see all the colors for this object. This is a Matchsafe. It was manufactured by Whiting Manufacturing. Co.. It is dated ca. 1900 and we acquired it in 1978. Its medium is silver. It is a part of the Product Design and Decorative Arts department. STERLING 6601 and maker's mark (w in a circle adjacent to lion passant for Whiting Mfg.Co.) both stamped on bezel.